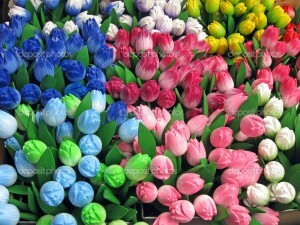 Blog & Journal > Relationships > What Meanings Do Flowers Convey? Flowers brighten every mind. It is the best gift for healing hearts, convincing someone, or impressing your ladylove. Undoubtedly, it is a perfect decorative item for weddings and parties that sets the mood. They make the surrounding vibrant and refreshing with its sweet fragrance and eye-catching colours. Other than an ornamental object, flower also helps to make the mind and develops relationships. Believe it or not, every flower (its colour) conveys different meanings. Man has entitled special meaning to the flower colours. It is vital to know their significance before sending to your loved ones. Read below to know the meaning of different flower colours. Lavender – The symbol of appreciation, goodwill and beauty, lavender colour flowers are generally preferred by guys to impress their girl. Husbands and boyfriends usually prefer sending a lavender flower bouquet to convey their admiration and feelings for the girl they love. It transmits a message of feminine beauty. Yellow – The colour yellow stand for happiness, brightness, success, pride, and luxury. On the contrary, this flower also represents jealousy. A yellow flower bouquet is generally sent to ailing person to brighten up his/her day. Some decorate their home with yellow flowers to display their enthusiastic nature. It is also conveys ‘Get well soon’ message. White – White represents unity and purity. It conveys the celestial, devotional, and solemn feelings. A white flower bouquet is also sent to the grieving family to convey the condolence message. It stands as a token of innocence, silence, and purity. Green – This reviving colour represents health, goodwill, youth, and good fortune. A green flower passes the message of renewal, optimism, and pleasure. This flower is generally sent by well-wishers. You can prefer sending this flower to nature lovers. Red – The all time favourite colour of youth, red signifies love, romance, passion, and true emotions. It is most adorable colour that is mostly preferred by youth to express their feelings and love towards others. Red is a symbol of courage, desire, and respect. Pink – The charming and elegant colour of pink attract lovers. It is a colour of love, and therefore preferred by lovers to convey love and passion for others. There are variations in the shade and therefore the meaning. Dark pink colour signifies gratitude. Whereas, light pink colour represents grace, gentleness, confidence and delicacy. Purple – This colour is linked with royalty and ceremony. It acts as a token of pride, dignity, and success. A purple flower bouquet represents accomplishments. A mixture of yellow and purple could make a wonderful arrangement for an event. Blue – It represents peace and openness. It also helps in reducing stress and living a carefree life. Blue flowers also offer a cooling effect. It is a unique gift that promotes the inspiration. This colour also acts as a booster for musicians and artists. Orange – This colour represents strong love or a satisfaction of achieving the success in the most challenging work. This bright yet catchy colour conveys satisfaction and passion for life. Peace Pink – A peach pink colour flower represents friendship, gentleness, and sympathy. Peace pink flowers can be sent on friendship day to wish your best friend. It is also sent to the grieving family during the condolence meet. You can send any of these flowers by post or plan a surprise flower delivery for your loved ones.